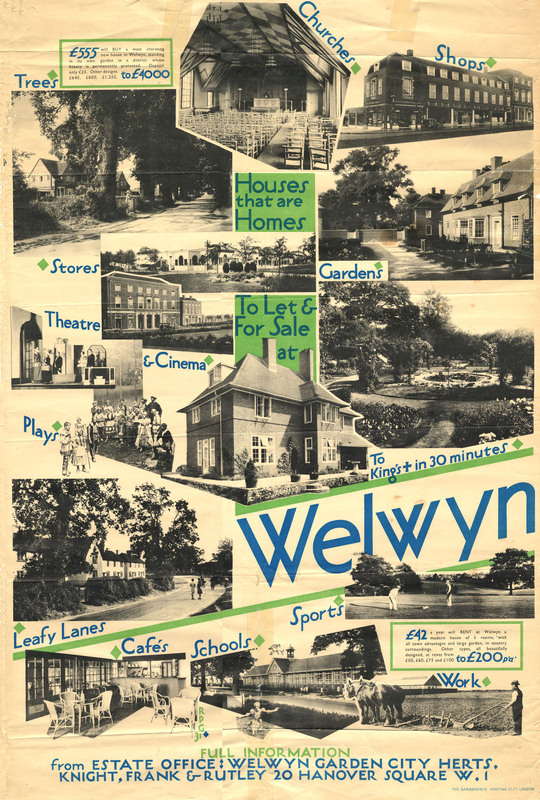 These posters were on display in stations such as Kings Cross, to advertise the town and encourage people to move to Welwyn Garden City. They show that Welwyn Garden City was marketed as a place to escape to. 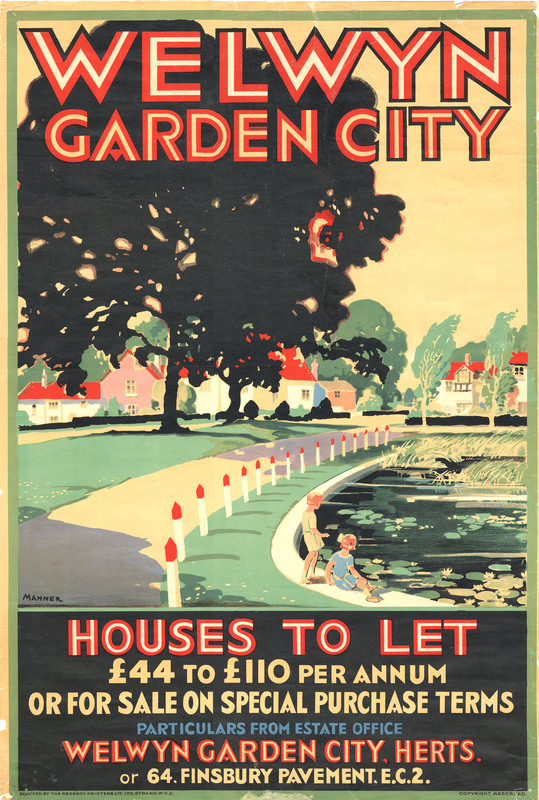 An escape from life in an overcrowded, dirty City to a place of sunshine, leafy lanes, countryside and cafes. Emphasis was placed on the Garden City’s healthy environment. 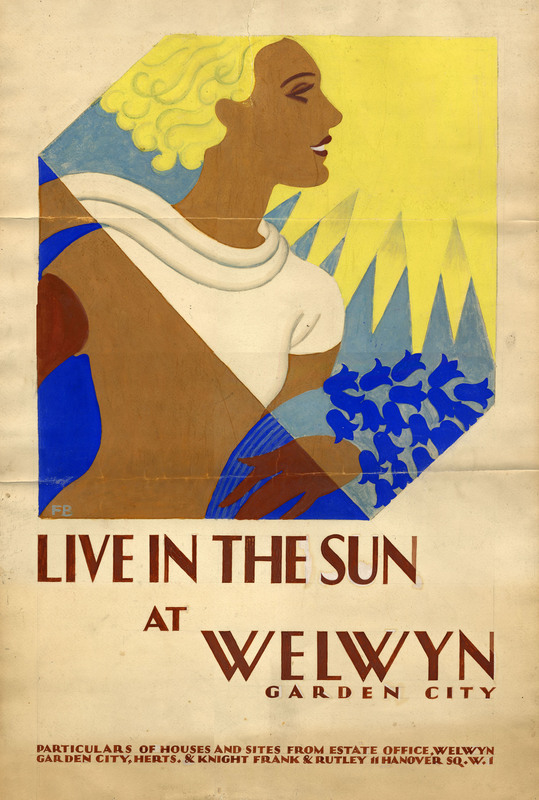 This page was added on 24/07/2009.